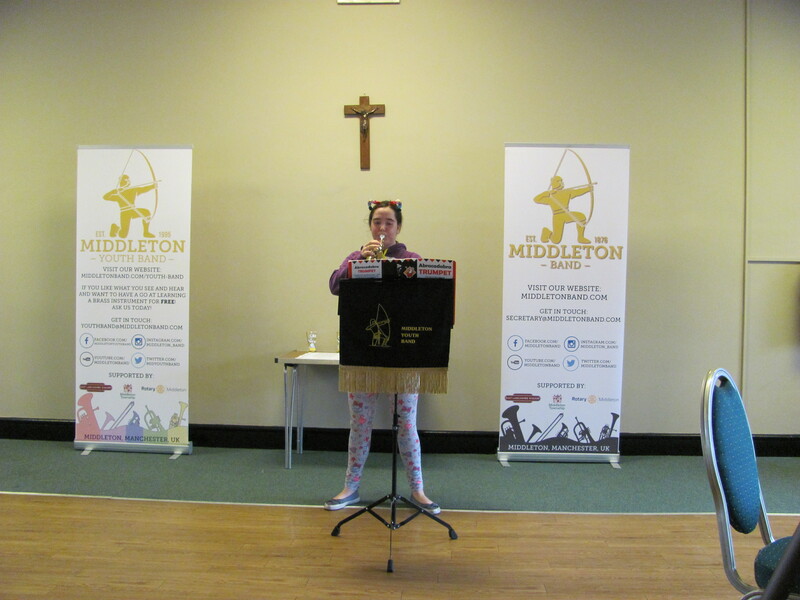 Middleton youth and training bands held their first ever solo contest on Saturday 8th September. 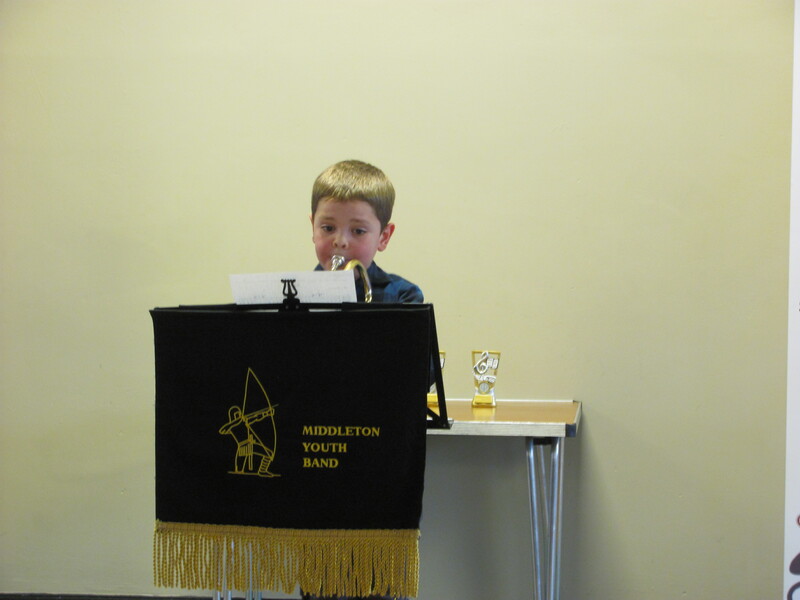 The contest was exceptionally well attended by members of both bands with young musicians aged 6 - 17 eager to demonstrate their constantly improving musical skills. 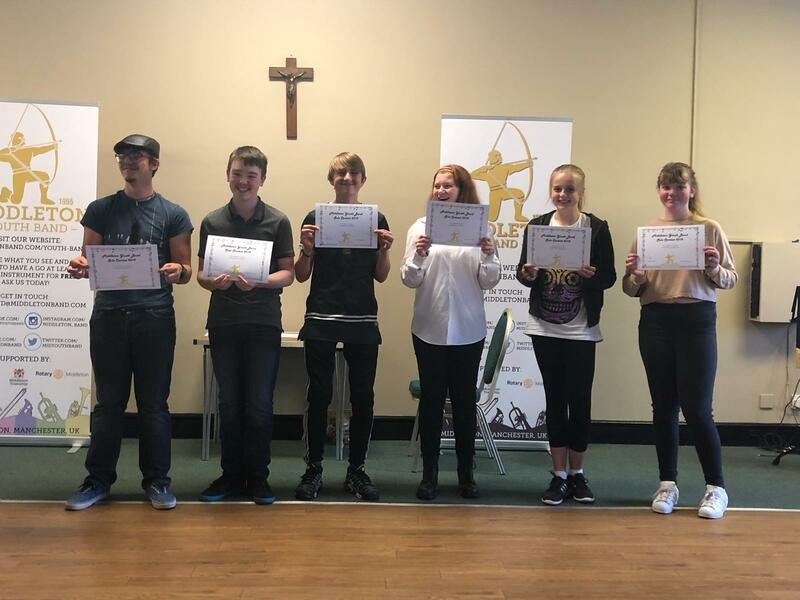 21 young musicians took part in the contest which was split into 4 sections; beginners, advanced beginners, intermediate and advanced. 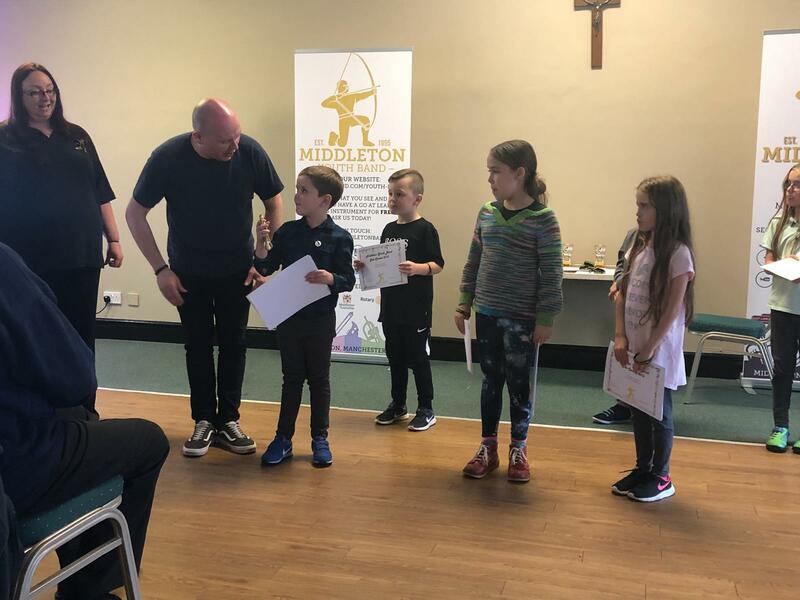 Each section was adjudicated by Mr Keith Farrington who has a lifetimes experience of banding, from playing, tutoring and conducting youth and adult bands alike. Keith, a lifelong associate of the band and the owner of one of the leading brass band audio recording companies in the United Kingdom, also recorded the senior band's last two CD's. 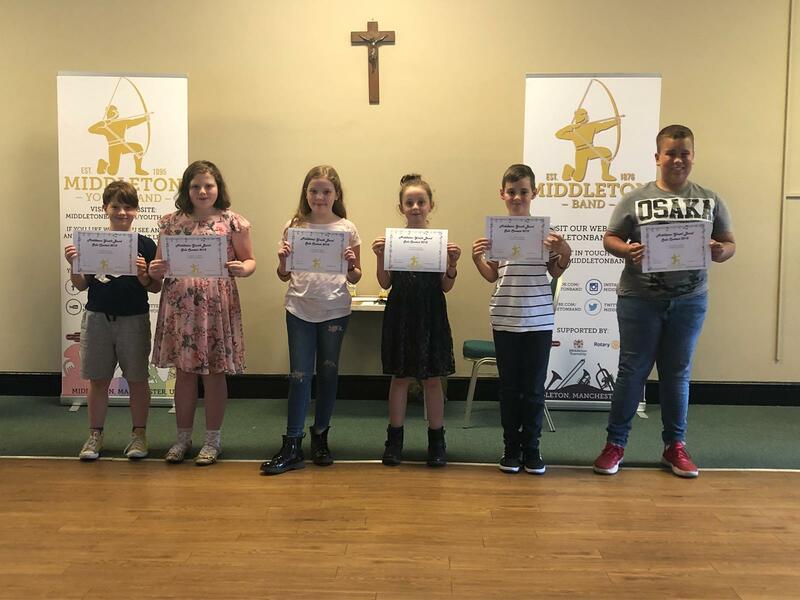 Keith certainly had an unenviable job of selecting the top three performances from each section to receive prizes, as each and every soloist gave a fantastic performance. 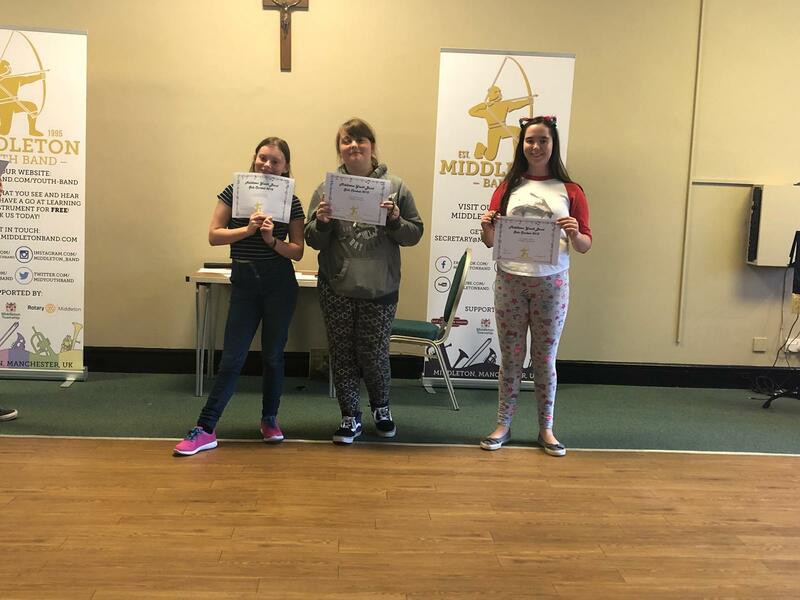 Each soloist received a certificate of participation, a wristband as a memento and written feedback from our adjudicator Keith. "What's really cool to see is the comradeship between all the players, even though it was officially a contest, every single kid was cheering the other on. We are so proud of all our soloists, they are all winners and have a bright future indeed. We are now looking forward to our new term in the band room with lots of exciting projects on the horizon for both the youth and training bands. We are looking to boost our bass end of our youth band and have vacancies for young baritone, euphonium, trombone and bass players. Do get in touch if you or someone you know would like to join our fantastic band! The training band has just started a new cohort of complete beginners who will soon be joining the training band. 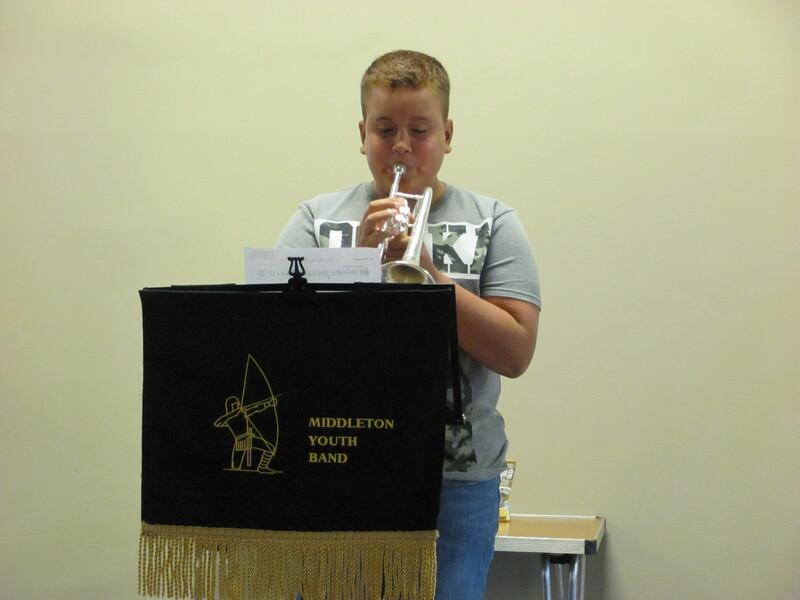 Some of the training band have already begun to join in the youth band, with another group who will start to sit in with the youth band after our October concerts.